Wishing you a happy (and safe) Thanksgiving! From all of us at OneBeacon, we wish you a safe and enjoyable Thanksgiving weekend! 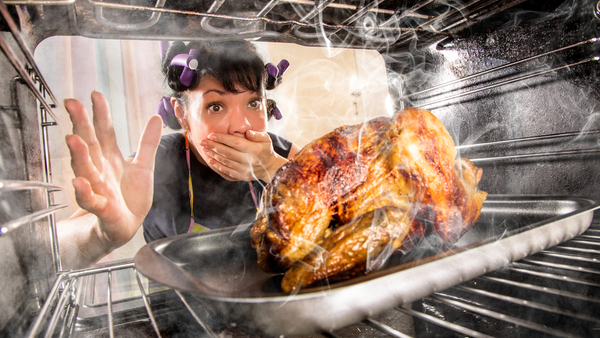 While you may be concerned with heavy traffic conditions or that Nor’easter storm predicted for Wednesday, the National Fire Protection Association reminds us that Thanksgiving is the most dangerous time of the year for kitchen fires. To help protect your home and guests during the holiday, follow PropertyCasualty360’s kitchen safety tips including avoiding distracted cooking and crowded counters. The business of technology is typically about innovation and increasing productivity. But like any industry, it’s also about sound management practices and operating controls – and certifying proper compliance with such practices. The accounting standards governing third-party “service organizations” were established by the American Institute of Certified Public Accountants (“AICPA”). SAS 70 and SSAE 16 offer a consistent framework for assessing service organizations’ financial and operational controls. Understanding SAS 70 and SSAE 16, the risks associated with noncompliance and why these standards matters to insurance professionals is the subject of our latest whitepaper, titled “SAS 70 & SSAE 16: A Primer on Changes to Service Organizations Audit Standards.” Authored by Technology Risk Control Specialist Jack Fletcher, these insights will enable you to understand these AICPA standards and ultimately better assess the exposures and controls within those service organizations you may represent or that provide services to your clients. To view our complete technology risk management whitepapers, visit our dedicated technology insurance website: www.onebeacontech.com. National Marine Underwriters (NMU) is pleased to announce its newly redesigned website www.nmu.com. Now you can get the same great information about our boat and yacht offerings, plus new information such as news and events and relevant industry articles. Additionally, to improve your experience, the website is mobile-enabled for viewing on a smart phone or tablet. Check out the website and see what you think! OneBeacon Technology President John Wurzler will visit his alma mater this Friday for the Saint Michael’s College Career Symposium in Colchester, Vt. The sixth annual event includes a keynote speaker, industry-specific panels and roundtables designed to educate students about career opportunities. Wurzler will focus on sharing insights on careers in the insurance industry. To learn more about OneBeacon Technology’s products and services, view this short video clip featuring Wurzler. A team from our Government Risks group is attending the annual Texas PRIMA conference this week in San Antonio, Texas. Taking place from November 9-12, the conference brings together more than 400 risk management and public entity professionals for educational seminars and presentations by industry experts. If you’re at the conference, please stop by exhibit booth 229 to meet with OBGR representatives Dave Byrom, Tania Strickland and Kenny Smith (pictured below). For further information, please visit the event website. Since its 2009 inception, Bring Your Own Device (BYOD) has quickly become a workplace technology trend. Many believe that the policy, which allows employees to bring their personally owned devices to work in order to access company information and systems, will be the next shift in corporate computing trends. In her article featured in Carrier Management titled, “Are you Ready to Follow the BYOD Trend,” OneBeacon Technology Risk Control Specialist Elizabeth Marazzo takes a closer look at the implications and potential risks of BYOD. PLUS 2014 – Visit with our teams! This week, members of our Technology and Professional Insurance teams are attending the Professional Liability Underwriting Society’s (PLUS) 2014 conference in Las Vegas, Nevada. The annual PLUS conference gathers members of the professional liability industry for three days of seminars, educational programs and networking opportunities. Nearly 2,000 people are registered for this year’s event, taking place November 5-7 at Caesar’s Palace. If you’re there, be sure to connect with OneBeacon Technology and OneBeacon Professional Insurance! 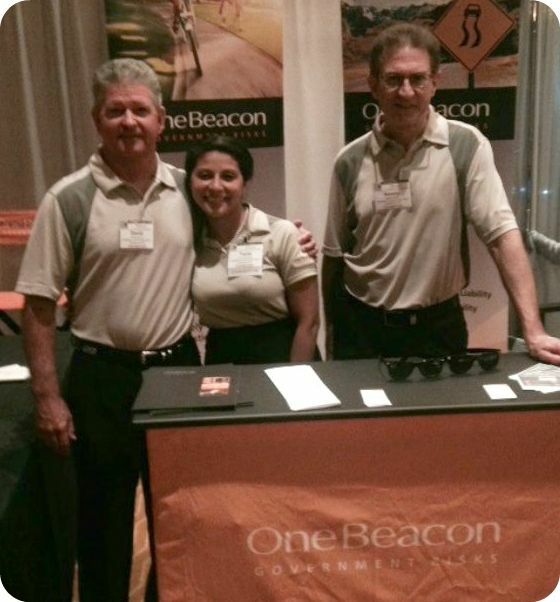 Fall is typically when many industry conferences and events occur, which means many of OneBeacon’s key staff is out and about, sharing their expertise with industry colleagues. One recent example was the Electronics Components Industry Association’s (“ECIA”) annual Executive Conference in Chicago. The Executive Conference featured an impressive slate of speakers, including OBTI’s Tushar Nandwana, who shared thoughts on the Internet of Things. This machine-to-machine connectivity has emerged to facilitate smart or efficient homes and commercial spaces. Besides speaking at the conference, OBTI also joined with producers from Norman Spencer to host an informational table for conference attendees. 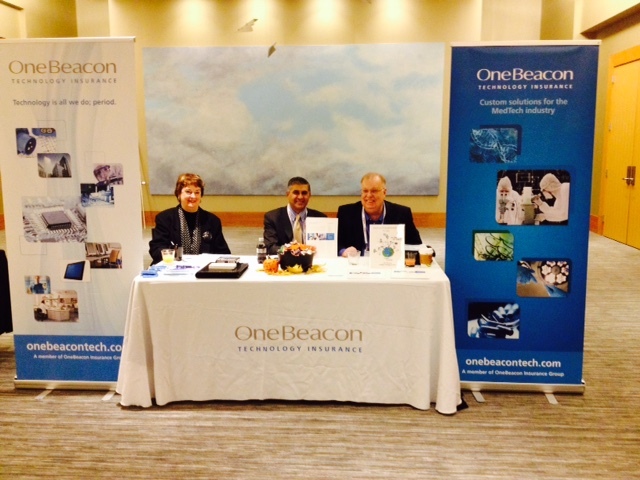 Pictured at our table are Tushar (center) along with Gretchen McAlinden and Byron Spencer from the agency.